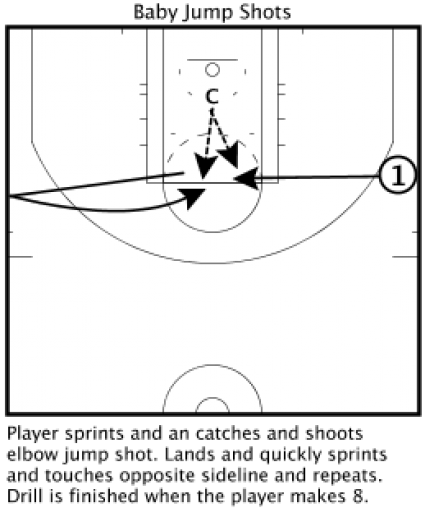 Below are 10 drills to start them working on before they hit that basketball backboard. 5 shots from 5 Spots. 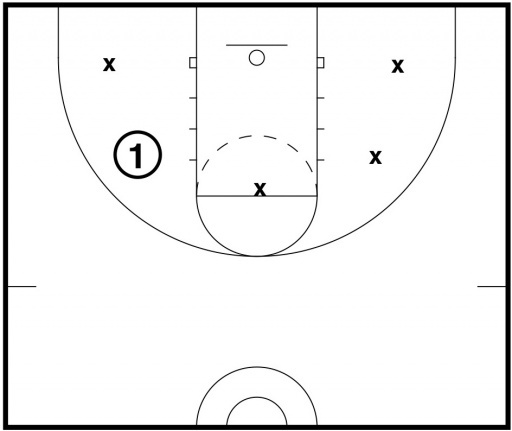 This drill is made with five different shots from five different spots on the floor. Make sure to repeat the drill on both sides of the court. Player starts with the ball and passes it back to the coach for the first shot, then repeats the remaining four shots. 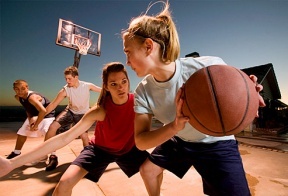 The player will begin by sprinting, catching the ball and shooting an elbow jump shot. When he lands, he will quickly sprint and touch the opposite sideline and repeat.